Car Accidents in North Carolina - The Hart Law Firm, P.A. How much time will I have to talk off of work? What if the other driver wasn’t insured? What can I do to maximize my recovery? Do I need a lawyer, and if so, how do I pick the right lawyer? This website is unlike any other lawyer website you will find. 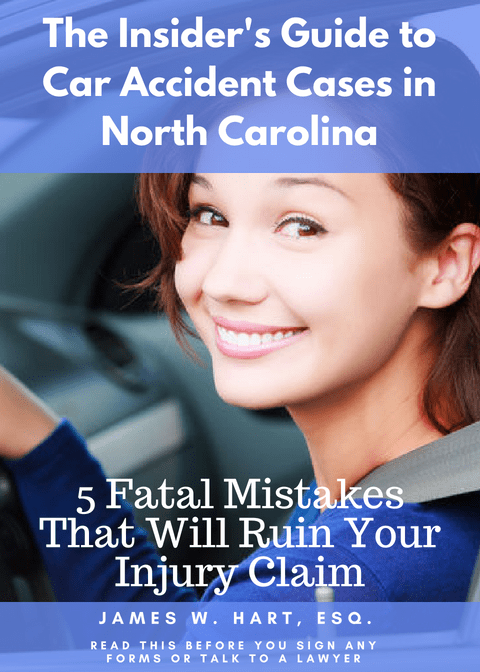 Our primary goal as we wrote the content for this website is to provide you with answers to your questions about what will happen after you have been in a NC Car Accident. We recommend that you start by reviewing our Ultimate Guide to Settling Your Car Accident Case Without Hiring a Lawyer. This guide will help you to understand everything that goes into a personal injury case and help you decide whether or not you need to hire a lawyer.